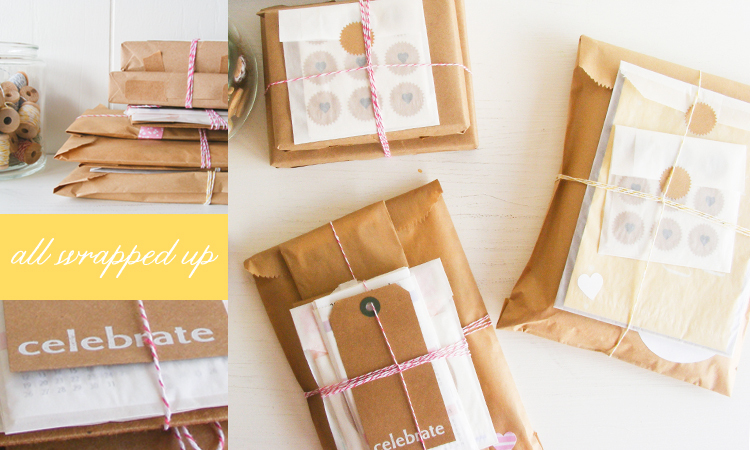 This weekend I spent a little time putting together some gifts for a couple of friends. One way over due and the other should make it just in time. 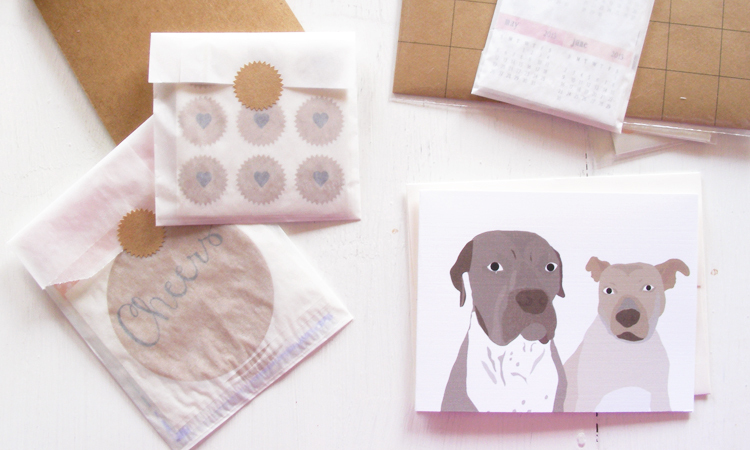 Lots of stickers and some notecards with a custom illustration of her dogs for a friend in Chicago. 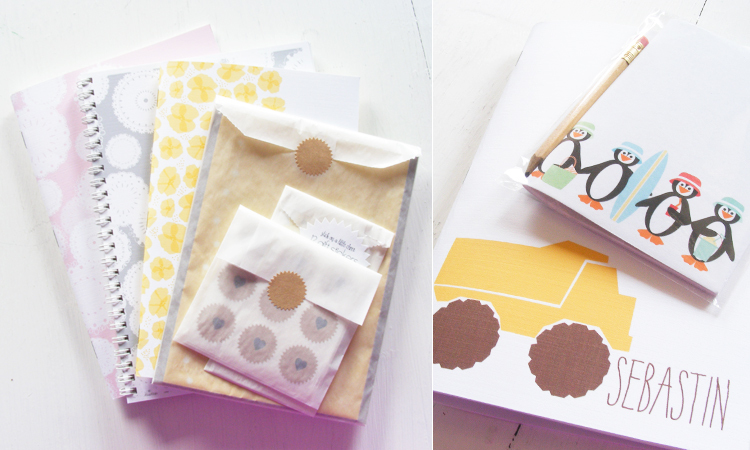 Notebooks and prints for an old friend and her little son headed to Norway. Super cute! The custom dog illustration is adorable!